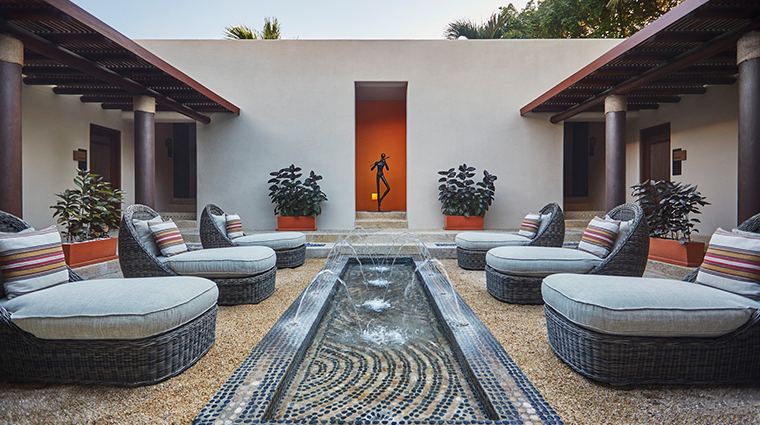 Fresh off of a multi-million-dollar renovation, the 21,500-square-foot Apuane Spa at Four Seasons Resort Punta Mita is a newly renovated luxury relaxation destination nestled along the golden shores of Mexico’s Riviera Nayarit. With 12 treatment rooms, a beauty salon, a fitness center, separate and coed relaxation areas and an outdoor palapa reserved for oceanside treatments, Apuane, which means “healing waters” in Spanish, offers an exclusive sanctuary from the outside world. 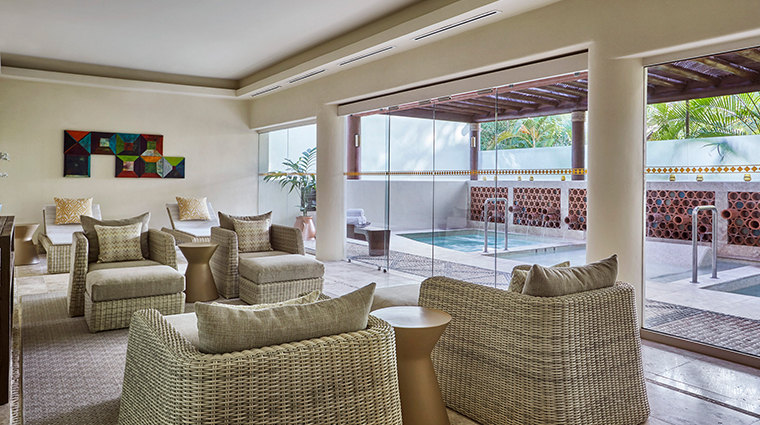 Designed by Kollin Altomare Architects and interior designer Anderson Miller, the soothing space boasts cream and blue tones and natural wood elements that echo the beauty reflected in the soft sandy beaches and azure waters of the surrounding Banderas Bay, while gentle spa staff offer exemplary service at every turn. We love how the indigenous rituals, ingredients and beliefs of the region’s native Huichol people are incorporated seamlessly throughout the spa’s design and services. 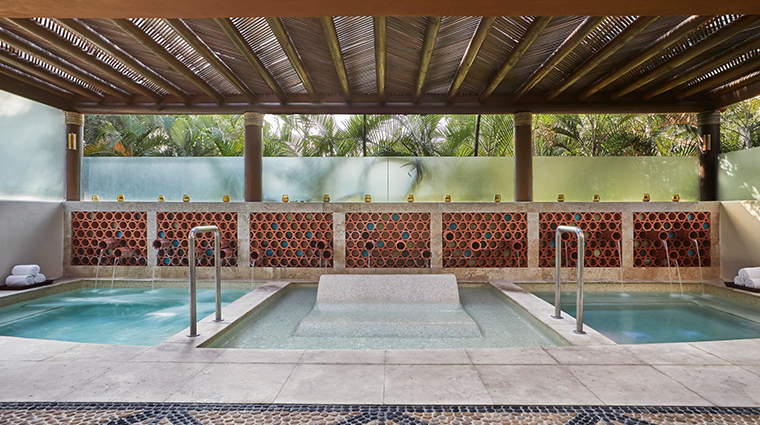 For a full sensory experience, book the half day Oro Azul (Blue Gold) package, which includes a lesson about the agave goddess, Mayahuel, a Punta Mita tequila and stone therapy massage, a light lunch, a spa pedicure and a small bottle of the native spirit to take with you. 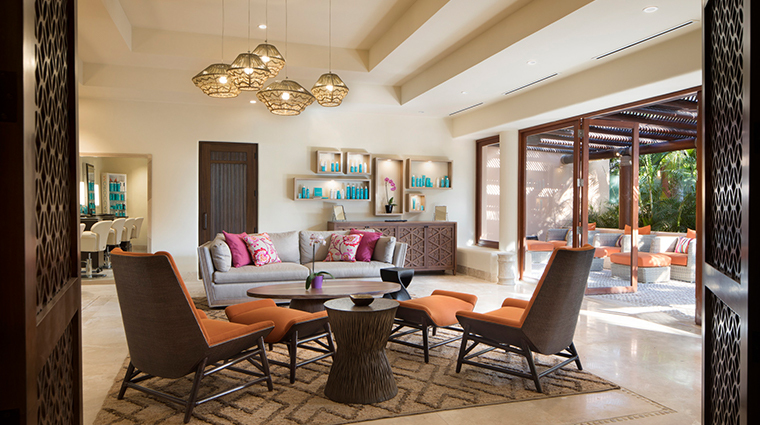 The Punta Mita spa has an onsite beauty salon area for hair, makeup, manis and pedis, with a private bridal suite. 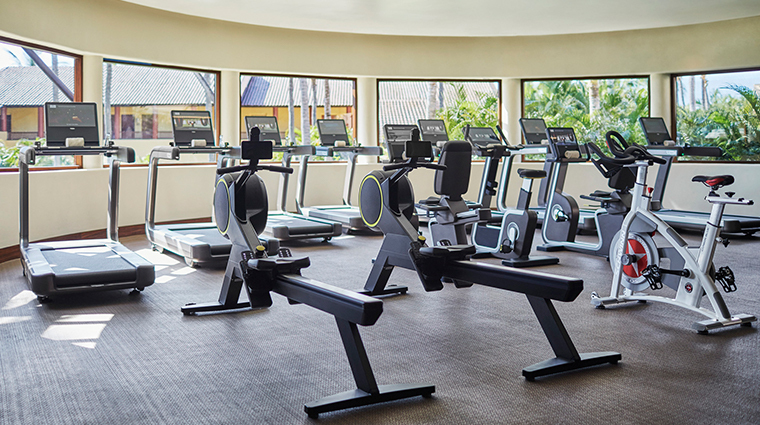 In addition to the ultra luxe Artis equipment found in the gym, Apuane Spa offers cool fitness classes such as aerial yoga, anti-gravity fitness (in which you do Pilates, yoga and ballet while suspended from a hammock) and the AquaForza (a cardio and strength class done on a paddleboard). Apuane is the first Four Seasons facility to offer myDNA, a genetic testing service that provides detailed recommendations on how to improve your skin, fitness and nutrition. All spa guests are welcomed with a special cup of Tranquility Tea (a blend of chamomile and passion fruit) before they are led to his-and-hers relaxation areas. Upon arrival, you'll be provided with a key-code activated locker, a spa robe, slippers and disposable underwear (as needed). Make sure to arrive about 45 minutes prior to your scheduled treatment time to take advantage of the spa’s hydrotherapy circuit. It’s worth noting that the excellent women's and men’s hydrotherapy circuits are slightly different. Though both facilities are equipped with steam baths, saunas and ice fountains, the women’s area has three plunge pools (hot, warm and cold), while the men’s side features just one hot Jacuzzi and an ice-bucket shower. Traditional massages and any treatments that don’t require machinery or equipment can be performed in an outdoor palapa situated right in front of the ocean. The scenic locale is also perfect for a romantic couple’s massage. 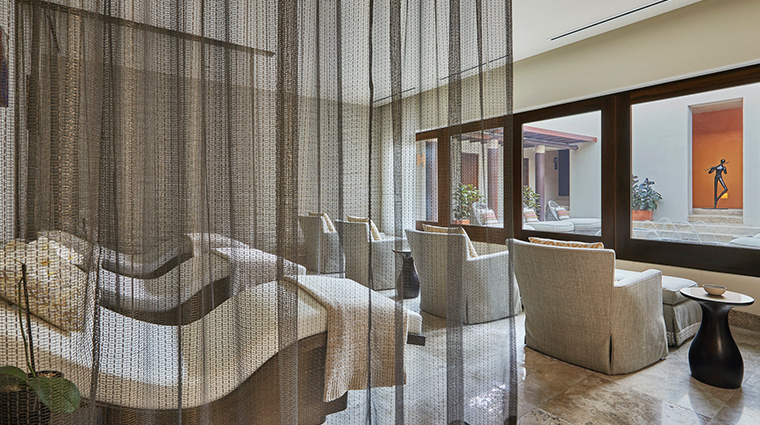 If you only have time for one treatment, make it the Punta Mita Massage. This 80-minute experience uses tequila, local herbs and oils, combined with hot stone therapy to revive and relax tired muscles. Just as unique as the Punta Mita Massage is the healing Hakali Massage, a cactus-based treatment whose antioxidant effects loosen stiff muscles. Apuane Spa offers a full range of massage therapy modalities, such as a jet lag massage, Thai, shiatsu, Ayurvedic-reflexology and therapeutic options to fit your needs. 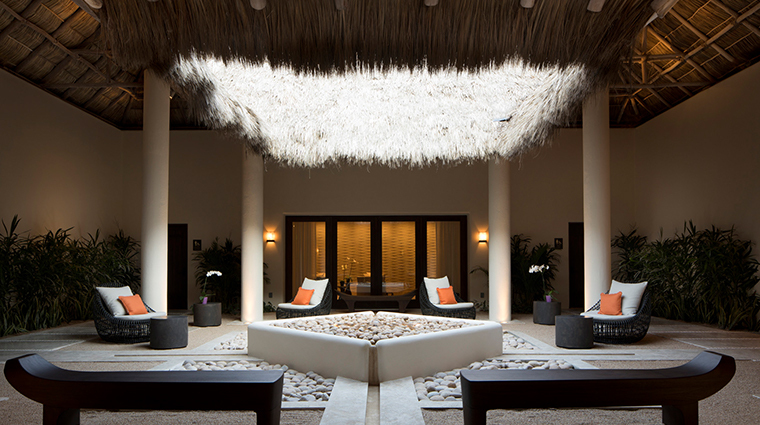 The Punta Mita Facial is a treat for the senses. Therapists begin with a ritual that involves wrapping your body in Mexican textiles to release tension, followed by the application of the local organic Agave Spa brand of products — made with Mexican blue agave —to repair the skin. For a wholly natural experience, try the Vida Verde Belleza Organic Beauty service, which uses a natural loofah to remove dead cells, followed by application of an avocado veil to leave skin moisturized and silky smooth. In addition to the facility’s 12 treatment rooms, a spacious accommodation with its own private courtyard — the Apuane Suite — is available for bridal showers, girls’ spa days and couples’ use. Spa snacks served in the relaxation areas include mixed nuts, apricots, cranberries, and peanuts, as well as sugar-free water flavored with all-natural drops by Pure Inventions. The spa menu offers several choices for bento boxes packed with superfood options such as quinoa, fresh local fruits and raw cocoa.